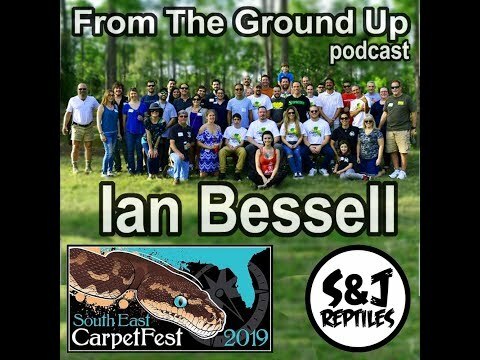 YouTube - Ian Bessell is the owner of S&J Reptiles and is on this episode of From the Ground Up to talk about SouthEast CarpetFest. This is a gathering of like-minded reptile keepers and will be held on February 9th, 2019 in Melrose, Florida. This is part one of the episode.